April 24, 2018 -- Shimadzu has released a new near-infrared fluorescence imaging system known as Lightvision. Shimadzu's new Lightvision near-infrared fluorescence imaging system. Image courtesy of Shimadzu. 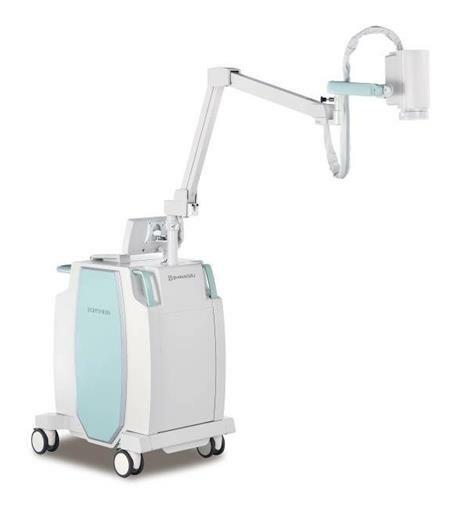 The system is designed to support breast cancer treatment through the visualization of lymph and blood vessels based on the detection of near-infrared fluorescent light emitted from indocyanine green (ICG). Lightvision creates real-time contrast images of lymph vessels below tissue surfaces by administering ICG through the lymph vessels. It then exposes the tissue to excitation light and detects and visualizes the slight emission of near-infrared light from the ICG, which is invisible to the naked eye, the firm said. By visualizing the vessels during surgery, for instance, the surgeon can perform procedures while monitoring the position of lymph vessels being excised. This is particularly useful for identifying the position of sentinel lymph nodes, which are important for diagnosing the metastatic status of cancer cells during breast cancer surgery, Shimadzu added. Lightvision is equipped with built-in high-definition sensors and supports image acquisition in a bright field-of-view, without the need to switch off room lighting in the operating room. It also supports the simultaneous display of three images: a visible light image, a near-infrared fluorescence image, and a combined visible light image with superimposed near-infrared fluorescence image.